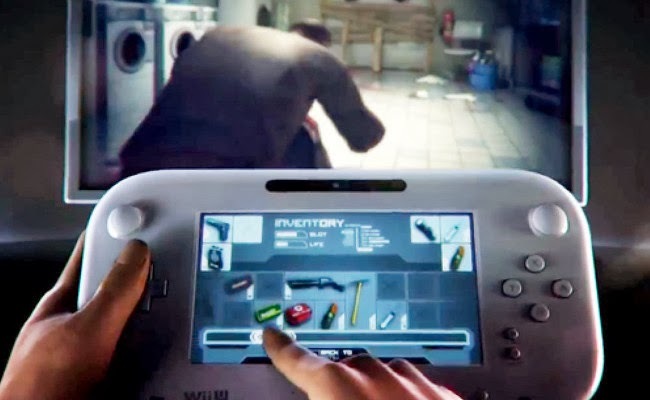 This week at PopMatters, I proclaim my love for the Wii U or, more accurately, the Wii U GamePad. I like the GamePad for a very specific reason, one that’s not due to any particular game mechanics. Most of the game specific implementations have been gimmicky touch inputs or holding pens for UI elements. In fact, the actual hardware itself isn’t all that great: the screen is low resolution and the resistive touch screen isn’t nearly as responsive as the standard multitouch capacitive screens we get on most phones and tablets. The value comes can be seen at a broader scale. Because I’m clearly a glutton for punishment, I tried coming through the OECD and some other sources to figure out how many hours people are working these days. There seem to be conflicting reports, so I’ll go with what I know: my time is at a premium and despite historically unprecedented levels of productivity, I don’t see the number of hours I work decreasing any time soon. While I await the neo-unionization movement led by software engineers and IT professionals (come on, folks, you’re our only hope! ), I have no choice but to try to make my leisure time more efficient. This is where the Wii U and the second screen movement in general comes in. As I write in the column, the ability to play a fully-featured console game without monopolizing the TV has already changed the way I think about playing games. At the most basic level I’m not hogging the TV and I don’t have to cede my full attention to a game that doesn’t really need it. On a more philosophical level, it makes console experiences feel more like the pick up and play experiences of a mobile game. Less gear is involved and you don’t have interrupt your current workflow to engage and yet you benefit from the generally deeper gaming experiences that console games provide. The Wii U GamePad and PlayStation Vita-PS4 connection lower the amount of friction for getting into a game, which I believe will ultimately benefit the persistent on-line games that are looking to define this generation. The ability to flow gracefully from a single-player to multi-player experience or transition from a low-engagement experience to a high-engagement experience requires tools that make it easy to stay connected and ramp up your involvement without it feeling like a chore. If you’re anything like me, it’s increasingly difficult to schedule your time around games, so the games must instead fit into your schedule. Find the the opportunity and the justification to replay Wind Waker is much easier if I can search for rupees or grind through fetch quests while also keeping an eye on the football game. The Wii U GamePad demonstrates that the real power of the second screen isn’t about augmenting the content that’s happening on the TV, but rather helping the content survive in a crowded battle for time. At a time when more games are asking you to participate in latent multiplayer or buy in to an entire ecosystem, the second screen allows you to do so without even having to change the channel.